It is hard to guess what Portcullis House building is from the outside for a passer by. There are shops and newsagents around it and if you peek through the glass doors, you may think it is a shopping centre but then you ask yourself whats with all the security and machine gun holding policemen inside? It is built on top of the void of Westminster tube station's ticket hall, supported inside its perimeter on only six columns - yet it is super strong and is built to be bomb-proof. In fact Portcullis House is an extension of the Westminster 'Parliamentary Campus' with offices for 210 Members of Parliament. This was where Clare Short arranged to meet us. 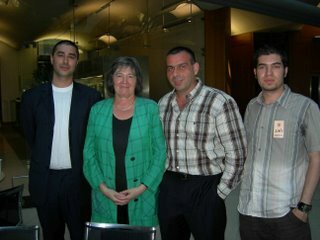 The reason for the meeting was the petition we started in her support when she stood up for an Iranian family from being deported. It does not take long to get friendly with Clare Short. Unlike some British politicians or journalists one meets, there is no sign of snobbery about her whatsoever. Very soon you feel comfortable with her and think you are talking to someone you have known for a long while. "How shall we address you?" was my first question and "You can call me Clare" was her immediate reply which made us feel comfortable and at ease. I started by saying that the foremost reason we started the petition was to thank her on behalf of the British Iranians for having highlighted the plight of an Iranian family in the Parliament. 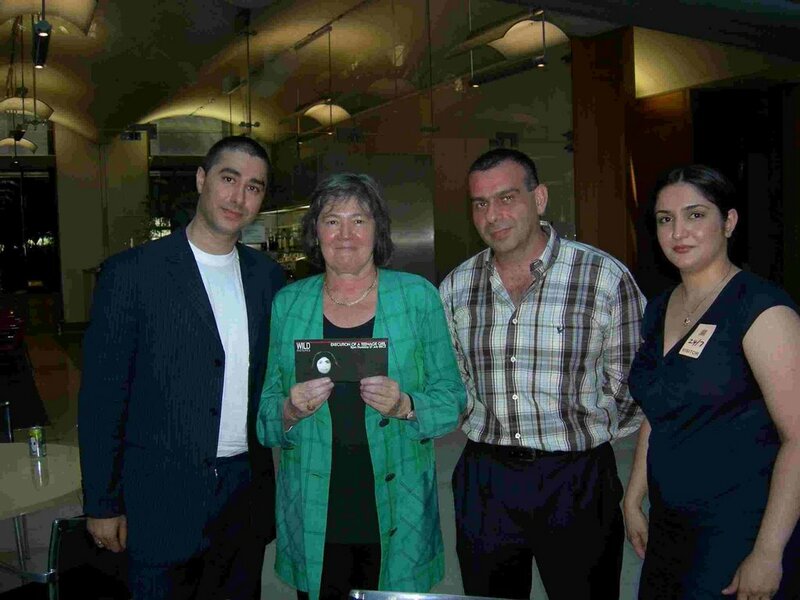 We wanted to show that her action had not gone unnoticed and British Iranians are not an ungrateful community. We then talked about the extent of human rights abuses in the Islamic Republic of Iran. "It is not just the prisoners of conscience in Iran who feel the brunt of the state injustice. All layers of the Iranian society are affected by the religious apartheid in Iran, women and children at the very forefront of it all." Clare was surprised to find out that we had first heard about her defence of the Farivar family in the pro-Iranian government news website, Baztab.org. When I also told her that the article had claimed she once had an Iranian boyfriend and was doing this to make contact with him again, she raised her eyebrows and was overcome with laughter at such nonsense. Arash then talked to Clare about a documentary he helped to make which will be shown on BBC2, 27 July, 9PM. The documentary is about the execution of a teenage girl in Iran, Atefeh Rajabi. Maryam who left Iran five years ago, talked about the day to day discrimination Iranian women face in the Islamic Republic. We asked about the latest on the Farivar family. Clare told us the case is still on-going and as one can imagine, the stress is playing havoc with the mental health of the young girl. We spent the rest of the evening talking about the latest news topics on Iran, the nuclear issue and the threat of war. All of us expressed our concern at the horrors of a military attack on Iran. We argued that the best option for all concerned is support for the pro-democracy movement inside Iran and that only the establishment of a secular democratic government in Iran will ensure peace and prosperity for the troubled region. I liked Clare Short, one may not agree with all her views but whatever her views she seems genuine, a rare phenomenon amongst politicians. More Iranians must reach out to their local/national politicians and make a good case for the people of Iran. Prior to Clare Short, defending her Iranian constituents, the Farivar family, there were hardly any grounds which I saw eye to eye with her, but you can disagree with someone and still believe that the person who has the opposite view to you, is acting out of conviction. Indeed we like clair short in these parts. You don't have to be a raving neocon to support democracy in Iran.